Nordic HR Summit is an annual summit rotating between the Nordic countries and organized in collaboration with all the Nordic HR associations. Nordic HR Summit 2019 will be in Harpa Conference Hall in Reykjavik on May 10th 2019. HR Summit was in Helsinki 2018 and in Oslo 2017. Hanna Birna Kristjánsdóttir is the Chair of the Executive Board of Women Political Leaders, Global Forum. She will be the conference host. Hanna Birna Kristjánsdóttir is Chair of the Executive Board of the Women Political Leaders Global Forum (WPL). She has been active in Icelandic politics for many years, both in the national parliament and in the local government. She is the former Chair of the Foreign Affairs Committee in Parliament and former Minister of the Interior in Iceland. Before being elected to Parliament, she was the Mayor of Reykjavík and President of the City Council, and she chaired several committees and organizations for the city. She is the former Vice Chair of the Independence Party in Iceland, the Deputy Secretary General of the Party, and Secretary General of its Parliamentary Group. She obtained a bachelor’s degree in Political Science from the University of Iceland and a master’s degree in International and European Politics from the University of Edinburgh. 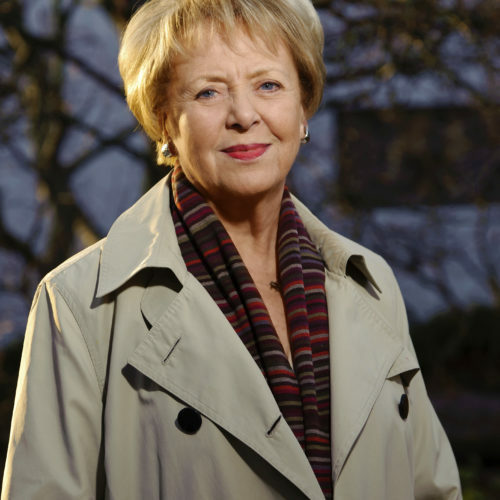 Vigdís was the first woman to be elected president in a democratic election and has been an energetic advocate for equality both in Iceland and in the whole world. Vigdís will open the conference. Vigdís var fyrst kvenna til að vera kosin forseti í lýðræðislegum kosningum og hefur verið ötull talsmaður jafnréttis bæði á Íslandi og í heiminum öllum. Vigdís mun opna ráðstefnuna og ávarpa ráðstefnugesti. Vigdís Finnbogadóttir served as the fourth President of Iceland from 1 August 1980 to 1996. She was the world's first democratically directly elected female president. With a presidency of exactly sixteen years, she also remains the longest-serving elected female head of state of any country to date. Currently, she is a UNESCO Goodwill Ambassador, and a Member of the Club of Madrid. She is also to-date Iceland's only female president. All companies in Iceland are required to implement a certified governance system according to an equal pay standard, with the aim of counteracting gender-based differentials and promoting gender equality in the labor market. Iceland is the first and only country in the world to make such a provision in national law. Thorsteinn Víglundsson was Minister of Social Affairs and Equality when the Act was passed. Thorsteinn, in his lecture, will discuss the evolution of the law and how it has succeeded. Öllum fyrirtækjum á Íslandi ber að innleiða vottað stjórnkerfi samkvæmt jafnlaunastaðli með það að markmiði að vinna gegn kynbundum launamun og stuðla að jafnrétti kynjanna á vinnumarkaði. Ísland er fyrsta og eina landið í heiminum sem hefur sett slíkt ákvæði í landslög. Þorsteinn Víglundsson var félags- og jafnréttismálaráðherra þegar lögin voru samþykkt. Þorsteinn mun í erindi sínu fjalla um aðdraganda lagasetningarinnar og hvernig til hefur tekist. Þorsteinn Víglundssos is an Icelandic politician who currently serves as Member of Parliament for the Reform Party (Viðreisn) in the Althing. He served as Iceland's Minister of Social Affairs and Equality in 2017, and under his leadership, a bill of law (amendments to the Gender Equality Act No. 10/2008) was passed by the Icelandic Parliament with a vast majority on June 1, 2017, and came into force on January 1, 2018. Companies and institutions employing 25 or more workers, on an annual basis, are required to obtain equal pay certification of their equal pay systems and the implementation thereof. The purpose of this obligatory certification is to enforce the current legislation prohibiting discriminatory practices based on gender and requiring women and men working for the same employer to be paid equal wages and enjoy equal terms of employment for the same jobs or jobs of equal value. In recent years, Reykjavík Energy has achieved revolutionary targets in gender equality. By developing and implementing innovative methods, Reykjavík Energy has eradicated wage-disparities and levelled the number of genders among its management. Ms. Sólrún Kristjánsdóttir, Head of HR, will elaborate on their journey in gender issues. Orkuveita Reykjavíkur hefur náð hvað mestum árangri í jafnréttismálum meðal íslenskra fyrirtækja á undanförnum árum. Með því að þróa og beita nýjum aðferðum hefur fyrirtækið útrýmt kynbundum launamun og jafnað kynjahlutfall stjórnenda. Sólrún Kristjánsdóttir mannauðsstjóri munu segja frá vegferð þeirra í jafnréttismálum. Ms. Sólrún Kristjánsdóttir, Head of Reykjavík Energy‘s Human Resources, holds an BA degree in Education from The University of Iceland, and an MSc in Business and Strategy from the same school. 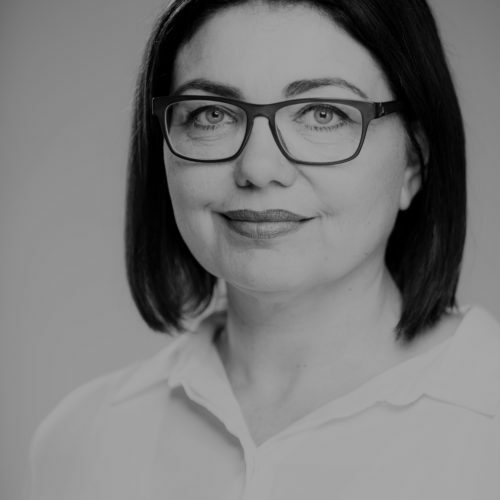 She joined Reykjavík Energy‘s Human Resources department in 2004, lead its work on talent management from 2006, and became head of HR in 2012. Befor joining Reykjavík Energy, Kristjánsdóttir worked as a teacher and a consultant for challenged youth at a state institution. If there is a will there is a way: Gender equality in management. 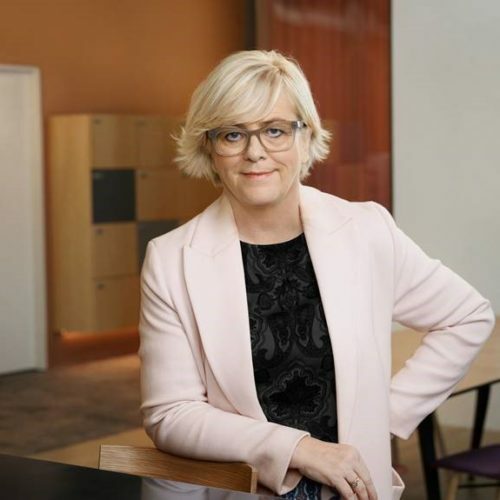 Birna Einarsdóttir has been the CEO of Íslandsbanki for 10 years, but Íslandsbanki is one of Iceland’s largest banks with over 1000 employees. Birna will discuss her experience as a manager in times of great technological change and the importance of having a diverse workplace, both in terms of gender, age and nationality. Birna Einarsdóttir hefur starfað sem bankastjóri Íslandsbanka, eins stærsta banka Íslands frá árinu 2008. Í þessu erindi mun Birna fjalla um reynslu sína sem stjórnandi á tímum mikilla tæknibreytinga og mikilvægi þess að hafa fjölbreyttan vinnustað, bæði hvað varðar kyn, aldur og þjóðerni. Birna Einarsdóttir has been CEO of Íslandsbanki since 2008. She was Managing Director of Commercial Banking from 2007 and Managing Director of Sales and Marketing, Branch Manager and Marketing Manager before that. She has also worked as Marketing Director for the Icelandic Broadcasting Corporation, Stöð 2 and Íslensk getspár. Birna has a Cand.Oecon. degree in business administration from the University of Iceland and an MBA from the University of Edinburgh. Birna Einarsdóttir hefur starfað sem bankastjóri Íslandsbanka frá árinu 2008. Hún tók við stöðu framkvæmdastjóra viðskiptabankasviðs árið 2007 en hafði áður gegnt stöðu framkvæmdastjóra sölu- og markaðsmála, útibússtjóra og markaðsstjóra hjá Íslandsbanka.Á árunum 1998 til 2004 starfaði Birna sem vörustjóri hjá Royal Bank of Scotland. Hún hefur jafnframt starfað sem markaðsstjóri Íslenska útvarpsfélagsins, Stöðvar 2 og Íslenskrar getspár. Birna er með Cand.Oecon. gráðu í viðskiptafræði frá Háskóla Íslands og MBA gráðu frá Háskólanum í Edinborg. Leaders play a key role in creating gender equality at work. Thor Olafsson at Stratetic Leadership has worked with many global companies in leadership training. Thor will discuss the importance of leadership training when it comes to create diversity and equality in the workplace. Stjórnendur skipa lykilhlutverk þegar kemur að því að skapa jafnrétti á vinnustöðum. Thor Olafsson hjá Stratetic Leadership hefur starfað með mörgum öflugum fyrirtækjum. Thor mun í erindi sínu fjalla um mikilvægi leiðtogaþjálfunar þegar kemur að því að skapa fjölbreytileika og jafnrétti á vinnustöðum. Thor’s mission in life is to learn to be his true authentic self and to inspire others to do the same. He is a father of three children and enjoys travelling, skiing or simply relaxing with them at their retreat called Eirð. As a trainer and coach for 19 years, Thor’s experience includes working with leaders from a multitude of industries in over 30 countries. His current clients include BMW, Roche, Continental, Arion, Telefonica, Bertelsmann and many others. While specializing in strategy execution and change leadership, Thor learned first hand that by placing a diverse group of people at the heart of strategy, organizations created higher engagement levels, more creativity and broader and stronger commitment. He also learned that truly conscious leaders would automatically treat everyone the same in this process and lead from the position of “humble learners”. In his talk today, Thor shares his view on how leaders from the HR field can act as catalysts for the creation of conscious leaders…and thereby drive diversity and equality from the inside - out. Diversity in today's companies is facts, but how to transform a crazy organization into concrete results for the company? 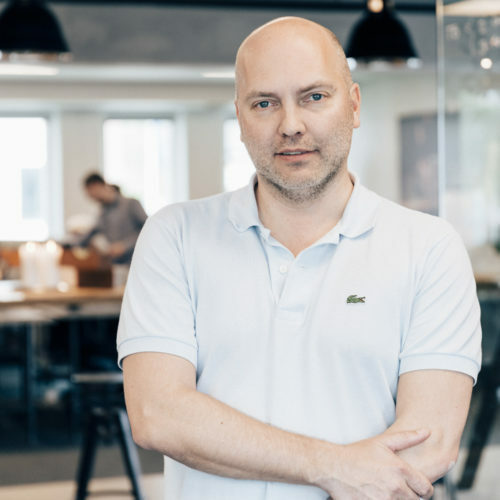 Meet Claus Johansen, Founder and CEO of Eloomi, who in less than 3 years has grown into one of the leading providers of training and people development solutions with customers in 25 countries, offices in Copenhagen and London, and with half a million users. 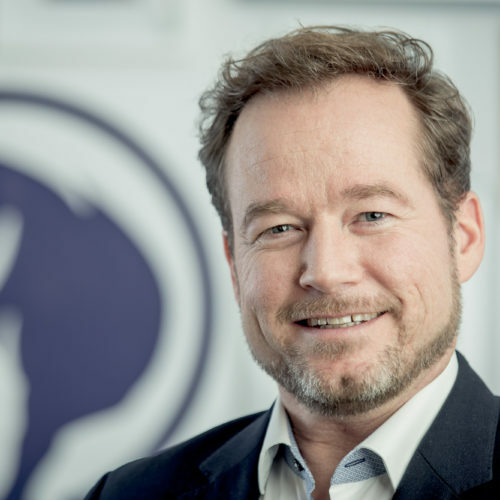 Claus Johansen has built a unique, lean and result oriented organization with an emphasis on diversity, different thinking, and many cultures and will give some of his very clear experience at this event. 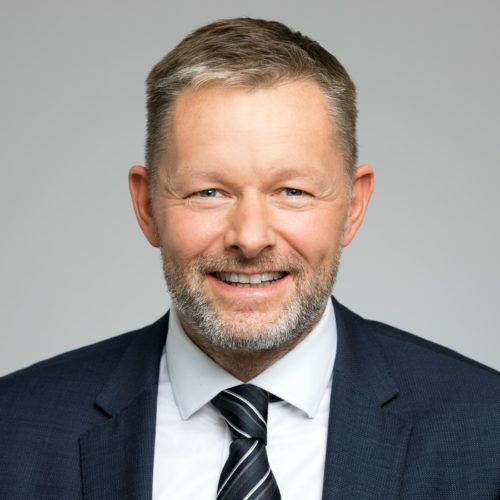 Claus is very direct and in a motivating manner will give his view on creating an effective, productive and committed organization in 2019. Claus Johansen er stofnandi og forstjóri Eloomi, sem á innan við 3 árum hefur vaxið gríðarlega. Fyrirtækið er í dag leiðandi þegar kemur að þróun á hugbúnaði tengdum þjálfun og fræðslu fyrirtækja. Hugbúnaðurinn Eloomi hefur um hálfa milljón notenda og er fyrirtækið með viðskiptavini í 25 löndum og skrifstofur í Kaupmannahöfn og London. Claus Johansen hefur byggt upp fyrirtæki með áherslu á fjölbreytni, mismunandi hugsanir og ólíka menningarheimar. Hann mun segja frá reynslu sinni sem leiðtogi í slíku fyrirtæki. Claus Johansen, mid-forties, Founder & CEO at eloomi.com. 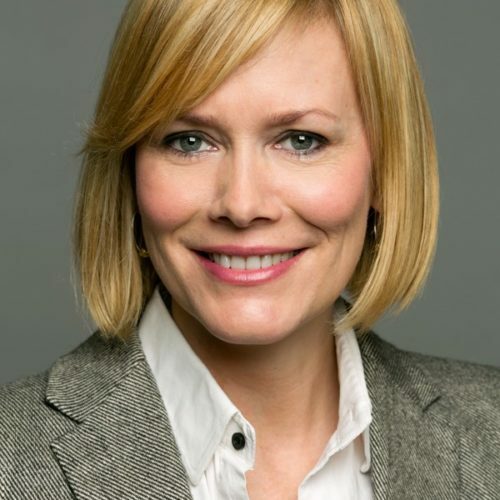 Previous positions among others as country manager of the global storage company NetApp, executive vice president for Atea, the biggest IT infrastructure company in the Nordics, as well the CEO of Denmarks leading e-commerce company Gatetrade. Claus has a carrier from being sales representative with 100,000 km yearly on the roads, to leading positions on several company levels and executive boards, both as employed as an a entrepreneur. The Gender Equality Roadmap works to assess and transform the status of gender equality within an organization. It is a holistic approach that focuses on several key elements concerning gender equality. The main purpose of the Roadmap is though to expose the unconscious gender bias that is often found in the culture, environment and structure of companies – whether it works in the favor of men or women. Þórey Vilhjálmsdóttir, consultant at Capacent will tell us about the Roadmap and how it has been successfully implemented in Icelandic companies. Jafnréttisvísir Capacent vinnur að því að meta og breyta stöðu jafnréttis innan fyrirtækja og stofnana. Megintilgangur þessa jafnréttisvísis er að útrýma ómeðvituðum kynjamyndum sem oft er að finna í menningu, umhverfi og uppbyggingu fyrirtækja – hvort sem það virkar í þágu karla eða kvenna. Þórey Vilhjálmsdóttir, ráðgjafi hjá Capacent, mun kynna fyrir okkur jafnréttisvísirinn og hvernig hann hefur verið unninn í íslenskum fyrirtækjum. Thorey is a director and consultant at Capacent, leading consulting firm in Iceland. Focusing on strategy, innovation, digitalization, design thinking & gender equality. She has led projects for various high level companies in Iceland in different sectors. 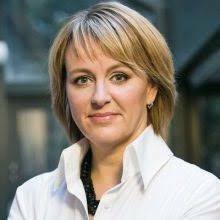 The last two years she has led a project called “The Gender Equality Roadmap” which is an 360°assessment and strategy for gender equality within companies and institution with a focus on company culture. She holds a 20 year experience as a company owner, board member, general manager, political advisor, project manager and entrepreneur. Diverse experience from various fields like telecommunications, politics, business development, design, tourism and media. Former main political advisor to the minister of the interior, Iceland. Thorey was the chairperson of the Icelandic Tourism Council since 2015-2017 and a deputy board member for The Icelandic Gender Equality fund run by the parliament 2016-2018. MBA degree from Reykjavik University and China European Business school in Shanghai. BS degree in international business from The University of Iceland. Þórey er ráðgjafi í stefnumótun og stjórnun með áherslu á jafnréttismál, Design Thinking og stafræna þróun. Hún hefur leitt fjölda stefnumótunarverkefna fyrir leiðandi fyrirtæki í íslensku atvinnulífi á síðustu árum. Síðastliðin tvö ár hefur hún m.a. leitt verkefnið Jafnréttisvísir Capacent sem er greining og stefnumótun í jafnréttismálum með áherslu á fyrirtækjamenningu. Þórey býr yfir 20 ára reynslu af fyrirtækjarekstri, stjórnun, stefnumótun, viðskipta- og vöruþróun, nýsköpun og teymisvinnu. Þórey situr í stjórn Íslandsnefnd Unwomen og er einn af stofnendum V-dagsins á Íslandi (V-day), samtök sem berjast gegn kynbundnu ofbeldi. Hún hefur einnig reynslu úr stjórnsýslu og stjórnmálum sem fyrrverandi aðstoðarmaður innanríkisráðherra og framkvæmdastjóri borgarstjórnarflokks Sjálfstæðisflokksins. Þórey er formaður ferðamálaráðs sem er iðnaðar- og viðskiptaráðherra til ráðgjafar í ferðaþjónustu og sat í varastjórn Jafnréttissjóðs Íslands 2016-2018. Hún er með Bs. í viðskiptafræði frá HÍ með áherslu á alþjóðaviðskipti og MBA frá Háskólanum í Reykjavík og CEIBS viðskiptaháskóla, Sjanghæ, Kína. 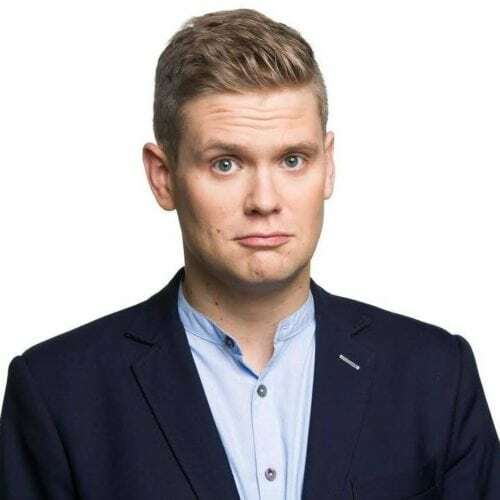 Ari Eldjárn is one of Iceland’s most popular comedian. His hilarious standups have had success both in Iceland and abroad. Ari will end the conference with one of his remarkable standups. Ari Eldjárn er einn vinsælasti uppistandari Íslands. Hans sprenghlægilegu sýningar hafa slegið í gegn bæði hérlendis og erlendis. Við endum ráðstefnuna á einu góðu uppistandi frá Ara. Ari Eldjárn er fyrir löngu orðinn einn allra vinsælasti uppistandari þjóðarinnar og hefur í fjórgang tekið þátt í að skrifa Áramótaskaup Sjónvarpsins. Þá fékk sýning hans “Pardon My Icelandic” frábæra dóma á Fringe hátíðinni í Edinborg og var sýnd þar fyrir fullu húsi og síðan tekin upp af Soho Theatre í London. Að efla fagmennsku í mannauðsstjórnun í þágu íslensks atvinnulífs, standa vörð um hagsmuni félagsmanna og auka samvinnu þeirra á milli.